The Library will be CLOSED first period today for the Chemistry Contest. Good luck to those students who are writing. The Library will be CLOSED after school today for a Head’s Meeting. The Library will be closed for the morning – as of 8:30am – for the ‘Triple Crown’ of Math Contests: The Fermat, Cayley and Pascal. Good luck to all of the students writing the contests. 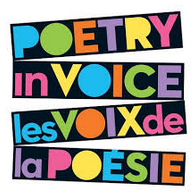 Join us after school today in the Library for our in-school finals for the National Stream Competition for Poetry In Voice. Twelve (12) students will be reciting a diverse collection of poetry in their attempt to become the ESA School Champion… and win a chance to compete for a spot at the National Finals, in Toronto, this April. Tea and treats will be provided. Bring your own mug. Recitations begin promptly at 3:20pm. Please note that the Library will be CLOSED last period for set-up… and will remain closed after school for the competition. Please note that there will be NO ACCESS to the Library during morning class periods on Friday February 9th. Access during class periods is by invitation only with your class/teacher. We are delighted to be hosting OCAD Professor and Aboriginal Advisor/Mentor David General while he visits ESA. A gifted artist, Professor General ‘consults on best practices for Aboriginal student engagement, curriculum development and outreach initiatives for both Aboriginal and non-Aboriginal students’. There will also be limited access to the lower level before school, and during the lunchhour, as there will be no tables available and no chairs at the computers. Equity, and other invited guests, will be having a special session – at the back of the Library – with Professor General during the lunchhour. The Library will be CLOSED after school today for set-up for AUDITION Day tomorrow. The upside? No regularly scheduled classes for students tomorrow. Enjoy your long weekend.